Commonly called ‘white ants’, termites are actually more closely related to cockroaches. But they are a much more destructive pest. 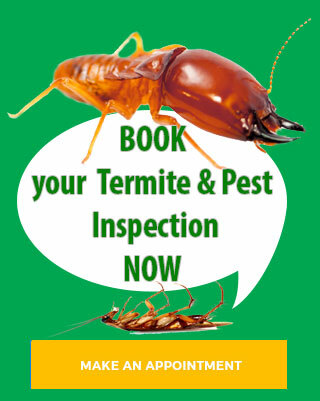 There are hundreds of species of termites in Australia, most of which pose no threat to houses and other buildings. But the few species that can cause trouble are responsible for more damage to houses each year than fires, floods or storms. Termites live on cellulose, which is found in all plant material. Not all termites eat wood, but those that do can come to your home looking for food. They travel through the ground from a nest that may be hundreds of metres away, then they build mud tunnels into your house. They can squeeze through cracks the thickness of a piece of paper. Even steel-framed houses are not immune from termite attack. The termites can still get in and destroy wooden roof trusses, furniture and wood trim such as architraves. Some species of timber are resistant to termites, but none is entirely ‘termite-proof’. 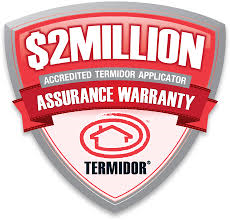 Homeowners don’t usually know termites are there until substantial damage has been done. They can eat anything made from wood inside the home and even gyprock and plasterboard walls, often leaving just a paper-thin layer of paint. Unfortunately, by this time they are right through the home, no matter how it is constructed. Termites are social insects, working and living together in colonies. Some subterranean termite queens can produce 2000 eggs per day and mature termite colonies may number up to two million individuals and exist for as long as 50 years. A termite mound is the most familiar form of termite nest, but many termites have a completely underground existence, apparently without a central nest. Most of the species that do damage to buildings will have a central nest in the soil, or in dead or living trees. Although the coastal belt and northern parts of the country are generally regarded as the highest-risk areas for subterranean termite infestation, species which damage timber-in-service occur throughout mainland Australia. In practice, any structure containing wood is at risk of subterranean termite infestation – whether in the business heart of a city, in the suburbs or out in the country – unless protective measures are taken.